Will Rick Gain Back His Courage In Season 7B? Several of Rick’s final lines as Season 7A came to a close earlier this month seemed to indicate he’s had his fill of being Negan’s lapdog. But what does the showrunner have to say about that? 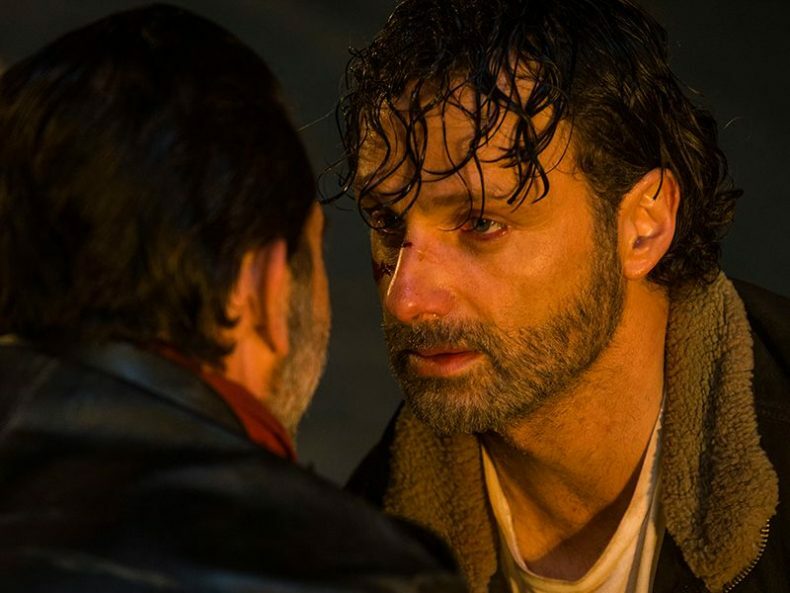 Showrunner Scott Gimple offered some comments and hints to Comicbook.com regarding Season 7B, and while he doesn’t say outright that Rick and his pals start fighting back, he does confirm the second half will feel different from the first. Given that our heroes have spent most of this season grovelling at Negan’s feet, this will be welcome news for fans. As the first piece of hype, AMC has released this banner advertising the Walking Dead’s return on Sunday, February 12, 2017. It also suggests a rebellion is in the works….